We've got no Shot or Ridiculist for you this morning but here are a few bits and pieces we've come across so far this week. 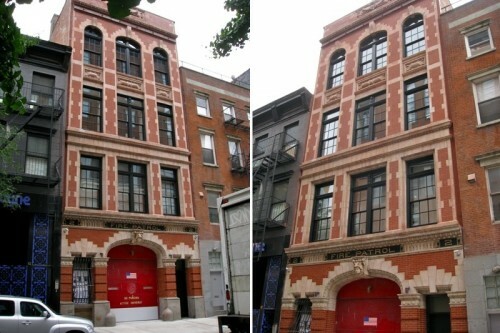 Curbed is reporting that the outside renovation on Anderson Cooper's Firehouse is complete. And just in time for Halloween we also ran across some interesting info about Cooper's firehouse being haunted. Ghost Tours of NYC says "Fire Patrol Station No. 2 has been haunted for nearly a century. According to several books and accounts, Officer Schwartz took his own life on the fourth floor after learning of his wife's infidelity. Rumors abound about Schwartz haunting the building years after his suicide." Since the talk show put out a call for viewers to tell of their haunted houses maybe AC will mention his on the show? If things get weird at the firehouse maybe Anderson should call in SyFy's Ghost Hunters to investigate.